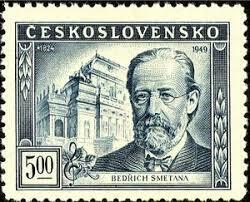 Bedrich Smetana [BED-rick SMEH-tan-a] was a composer from the Czech Republic who was known as the father of Czech music. 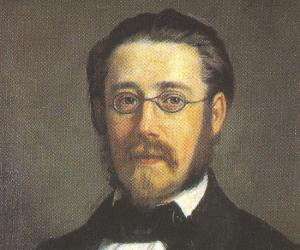 Bedřich Smetana was born as Friedrich Smetana on March 2, 1824 in a small town just to the east of Prague. What continent is Prague on? He was born as the third child, and had nine siblings. Smetana’s father was a brewer and later, during the Napoleonic Wars, he accumulated moderate wealth by supplying clothing and provisions to the French Army. Today’s Listening Example, “Louisa's Polka”, is Smetana's earliest complete composition that has survived. One summer, he had a brief romance with a girl named Louisa. His adoration for her sparked him to write this song in commemoration of his first love. Bedrich Smetana exhibited flair in music from childhood itself and became a competent violinist playing in string quartet. 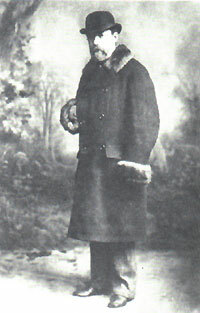 Bedřich was known by his family as Fritz and was introduced to the music scene at the age of 4 by his father. He then started to learn the violin but he favored the piano more. 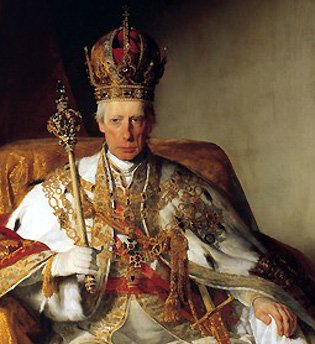 He was only 6 in his first public solo performance as pianist playing at an entertainment event honoring Emperor Francis I of Austria. His family moved to a town south of Bohemia in 1831 and Smetana attended the local elementary school and gymnasium there. He learned violin and piano and started to admire Mozart and Beethoven. After Liszt gave a series of piano recitals in the city, Smetana became convinced that he would find satisfaction only in a musical career. He confided to his journal that he wanted "to become a Mozart in composition and a Liszt in technique". 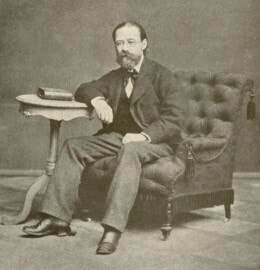 Smetana’s skills as a pianist were in great demand at the town's many soirées, and he enjoyed a hectic social life. This included a number of romances, the most important of which was with Kateřina Kolářová, whom he had known briefly in his early childhood. Smetana was entirely captivated with her, writing in his journal: "When I am not with her I am sitting on hot coals and have no peace". He composed several pieces for her, among which are two Quadrilles, a song duet, and an incomplete piano study for the left hand. He also composed his first orchestral piece, a B-flat minuet. That B Flat Minuet is today’s Listening Example. 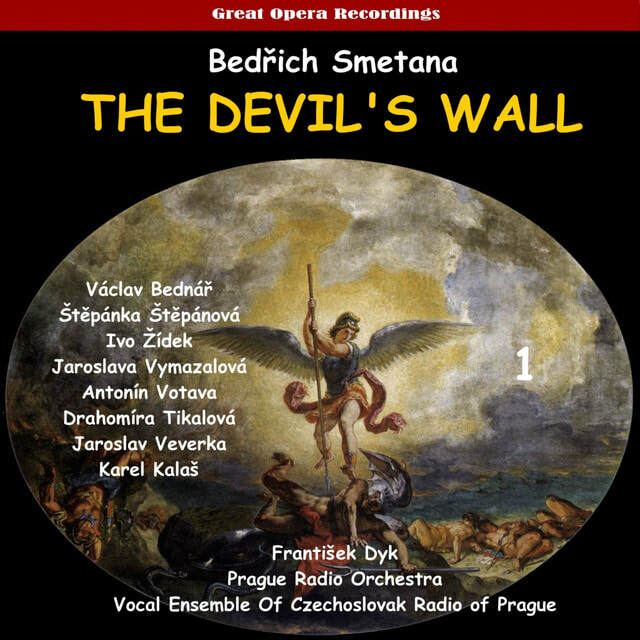 Bedrich Smetana was a highly passionate and strong willed individual who overcame many hurdles through his life in order to fulfill his dream of becoming a famous musician. Early in 1848, Smetana wrote to Franz Liszt, whom he had not yet met, asking him to accept the dedication of a new piano work he had written, and recommend it to a publisher. He also requested a loan of 400 gulden, to enable him to open a music school. Liszt replied cordially, accepting the dedication and promising to help find a publisher, but he offered no financial assistance. This encouragement was the beginning of a friendship that was of great value to Smetana in his subsequent career. Despite Liszt's lack of financial support, Smetana was able to start a Piano Institute in late August 1848, with twelve students. Also, in 1848, Smetana started writing revolutionary pieces of music, which involved him in an unsuccessful movement to overthrow the oppressive Habsburg emperor rule. His involvement had important repercussions later on, for it had awakened a national consciousness in him for the first time. Listening Example: "The Bartered Bride Polka" from the Opera, "The Bartered Bride"
Bedrich Smetana was a huge fan of Mozart, Beethoven and Liszt. All of whom we have studied before. So, it is no surprise that, like his idols, he chose to include opera in his many compositions. Smetana wanted to set himself apart from other German composers who wrote operas. Instead of including lots of arias (solos), he preferred to use ensembles, or choruses, using many actors and blending voices. Smetana loved his country and wanted all his compositions to reflect that feeling. As you listen to his opera’s, particularly his early operas, you will notice he used lots of polka music. Polka is a form of European dance music that originated in Bohemia, that is now part of the Czech Republic. 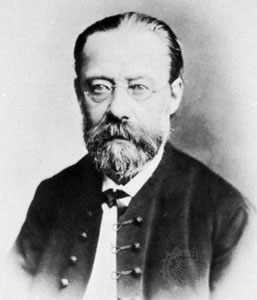 In his career, Smetana wrote at least 9 major operas. 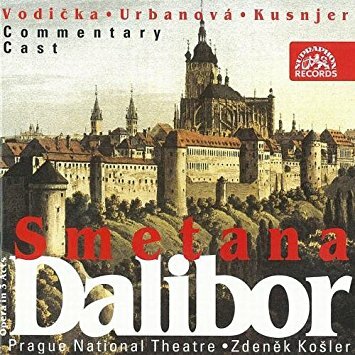 Today’s Listening Example is “The Bartered Bride Polka” from his opera, “The Bartered Bride.” This particular opera was Smetana’s most famous opera, and is still performed in venues around the world today. It was popular in the Czech Republic because of it’s distinct Czech music, including the polka you will see in this video. Listening Example: "For My Life"
Around the age of 50, Bedrich Smetana started to lose his hearing. For any musician, hearing is critical. Can you imagine composing music that you could not hear? 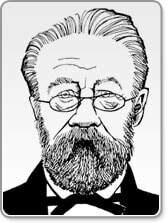 It was in 1874 that Smetana complained of a continual whistling in his ears. In his diary, he described it as “like that A-flat major chord….in the high treble”. The whistling turned to buzzing and then roaring, which he said sounded, “as though I were standing under a waterfall.” Then, he could hear absolutely nothing at all. Later on he wrote that “deafness would be a relatively tolerable condition if only all was quiet in my head.” He remained deaf for the rest of his life. However, it did not hinder his writing. It was on the very first day he became deaf that he wrote the main theme of 6 national tone poems, collectively titled “Ma Vlast”. We heard some of “Ma Vlast” on Wednesday. Ma Vlast became Smetana’s greatest orchestral monument to Czech nationalism. 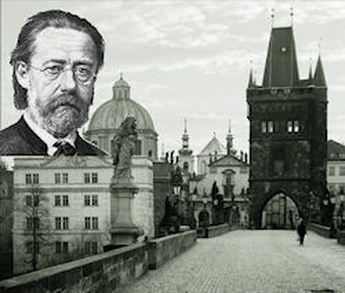 In 1876, Smetana began work on his most personal composition ever. He wanted it to represent the course of his life, “....using four instruments speaking among themselves in something like a friendly circle.” He completed the composition of December 29, 1876. Today, we will hear the first movement; however, if you will listen to the entire piece, you’ll hear a violin play a sustained harmonic E, which represents the ringing in his ears he heard when he first started to lose his hearing. Today’s Listening Example is Smetana’s String Quartet No. 1, “From My Life”.